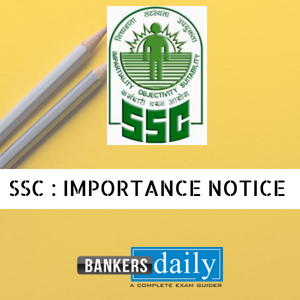 SSC (Staff Selection Commission) has released the official notification of the SSC CGL 2018 notification now and aspirants can find the detailed notification from the one that is described in this post. Also we would like to update the aspirants about the in and out of the SSC CGL 2018 Exam which includes Syllabus, Exam Date, Exam pattern and age limit. Staff Selection Commission (SSC) conducts SSC CGL examination every year for the recruitment of the following posts and the below given posts are available in SSC CGL Exam 2018. The age limit is different for different posts and aspiring candidates who wish to apply for the SSC CGL exam 2018 will have to check the age limit for the same carefully before applying. Please check the same from the list given below. The educational Qualification to apply for the posts available in the SSC CGL Exam 2018 are provided below. Please check the educational qualification and also note that the educational qualification are qualified as from the date as on 1st August, 2018. 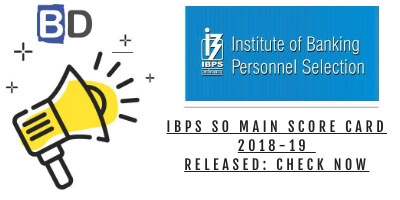 Junior Statistical Officer: Bachelor’s Degree in any subject from a recognized University or Institute with at least 60% Marks in Mathematics at 12th standard level (or) Bachelor’s Degree in any subject with Statistics as one of the subjects at degree level. As per Ministry of Human Resource Development Notification dated 06.2015 published in Gazette of India all the degrees/ diplomas/ certificates including technical education degrees/ diplomas awarded through Open and Distance Learning mode of education by the Universities established by an Act of Parliament or State Legislature, Institutions Deemed to be Universities under Section 3 of the University Grants Commission Act, 1956 and Institutions of National Importance declared under an Act of Parliament stand automatically recognized for the purpose of employment to posts and services under the Central Government provided they have been approved by the Distance Education Bureau, University Grants Commission. All candidates who are declared qualified by the Commission for appearing at the Data Entry Skill Test/ Computer Proficiency Test will be required to produce the relevant Certificates such as Mark sheets for all the three years of Graduation/ Provisional Certificate/ Certificate of Graduation in original as proof of having acquired the minimum educational qualification on or before the 1st August, 2018, failing which the candidature of such candidates will be cancelled by the Commission. The Candidates who are able to prove, by documentary evidence, that the result of the qualifying examination was declared on or before the cut-off date and he/ she has been declared passed, will also be considered to meet the Educational. * Please note that women candidates and candidates belonging to Scheduled Caste, Scheduled Tribe and Ex-Servicemen eligible for reservation are exempted from payment of fee. Candidates who wish to apply through the branches of SBI shall do so within the working hours of 7th June, 2018. Please note that the challan has to be generated by the candidates before 4th June, 2018(1700 Hours).